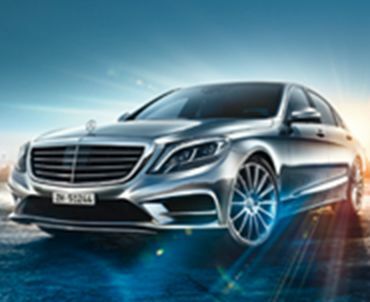 One of the most established chauffeur services is always the best choice for you. TOP-ALLIANCE, one of the leading companies in the limousine and chauffeured ground transportation industry, offers you a range of services including complete fleet logistics and charter flights worldwide. Looking for chauffeured transportation services for your guests or for yourself? Planning an international roadshow or organizing an event with complex transportation logistics, limousine services and airport transfers? Our chauffeurs exhibit professional appearance and demeanor. Have peace of mind knowing that all of our drivers are licensed, insured and trained in accordance with international standards. Thanks to our partnership with Hertz, you have access to the entire Hertz fleet in Germany. At your disposal, 24 hours a day, 7 days a week, 365 days a year..
Book your next trip or access your billing information conveniently online. All vehicles are monitored in real time by GPS to give you the highest possible reliability. Over the last 27 years, TOP-ALLIANCE has built an international network of trusted partners, giving us and our clients global reach through a single contact. Limousine services, ground transportation logistics, including van and bus services. Wherever your business takes you – with our partners, we make sure you're always on time for your appointments. Experience, trust and realiability are the pillars of our success. TOP-ALLIANCE guarantees quality monitoring and excellent customer support through its our IT solutions. We move you in ... limousine, motorcoaches, aircraft of members, associated partners and limousine companies in Austria Vienna Innsbruck Salzburg Belgium Brussels Czech Republic Prague Denmark Copenhagen Finland Helsinki France Paris Cannes Lyon Nice Germany Berlin Augsburg Bonn Bremen Cologne Dresden Düsseldorf Frankfurt / M Hamburg Hanau Hannover Leipzig Munich Münster Nuremberg Stuttgart Greece Athens Hungary Budapest Ireland Dublin Italy Rome Bologna Florence Genoa Milan Naples Palermo Torino Venice Monaco Monte Carlo Netherlands The Hague Amsterdam Rotterdam Norway Oslo Russia Moscow Spain Madrid Barcelona Sweden Stockholm Switzerland Bern Basel Geneva Zurich Turkey Istanbul United Kingdom London USA.